Drake was invited to take part in the Kentucky Wildcats basketball team's warm-up. 16. 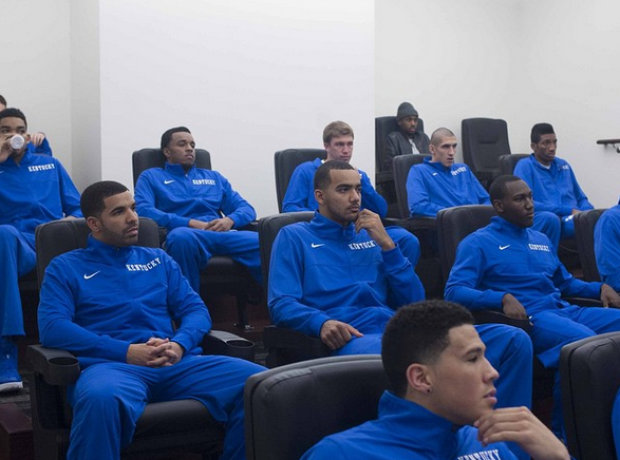 Drake was invited to take part in the Kentucky Wildcats basketball team's warm-up.